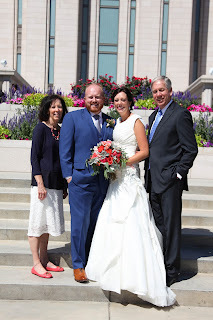 August was a GREAT month as we returned to Utah for Janae and Kyle's wedding at the Oquirrh Mountain Temple. Janae and Kyle did a fabulous job planning it all--wonderful wedding dinner at Gardner Village, beautiful ceremony performed by our friend Martin Peterson, and a picture perfect reception at Le Jardin catered by my mother (who will turn 90 in April!) and my 3 sisters. It was so good to see our family and friends--thanks for your support. We also met our new granddaughter Makenna (daughter of Sam and Lisa) for the first time. She was blessed in our home ward. We returned to India in late August and had the opportunity to visit the Branch in Goa which is on the west coast of India. The branch has a nucleus of several strong families and had an attendance of about 25 people on Sunday. We attended a birthday party for Janice on Saturday. We also toured the sights, including some churches (Catholic), a spice farm, and the beach. Exciting news for our mission was the arrival of 2 couples from the United States--the Grundys and the Newtons. The Grundys will replace us as office missionaries and the Newtons will serve as humanitarian missionaries for all of India. 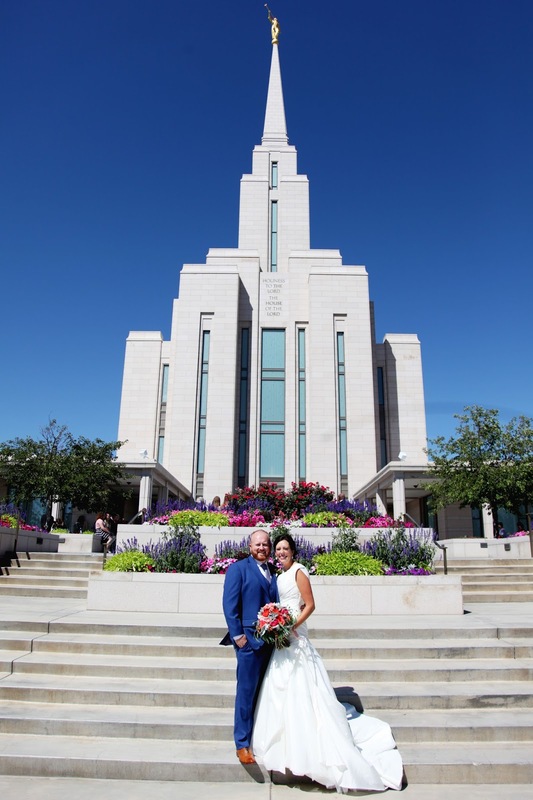 The Condies who are serving in Sri Lanka flew in for the arrival of the couples and to attend a conference that President Berrett planned for us all. The conference included an excursion to the Bangalore Zoo which also has a safari park and butterfly farm. It was a fun day! The end of September Jeff and I traveled to the southern tip of India to Cochin in the state of Kerala for an overnight stay. We have one active member living there so we visited with him and his mother and brother on Sunday. He has church every Sunday on the phone with some others that live in remote areas. Monday was our P day so we took a "backwater" houseboat tour in Appelley, We had the houseboat all to ourselves and enjoyed our cruise along the river. They also fed us lunch. Checking in at our hotel in Cochin--are we at the Best Exotic Marigold Hotel??? I thought I had finally found a golf course. As I got closer it turned out to be a rice field. These are two of the "school buses" taking the children home. Primary Sacrament Meeting programs are the best and here are some of the children that participated in the Ramamurthy Nagar Branch program. They sang their hearts out--truly inspiring! This is our pet lizard that often greets us on our lunch break walk around the church and mission office. We have had fun the last couple of months helping with activities for the Young Single Adults and the Young Men and Young Women. They love Minute to Win It Games (and they also love treats!) In the picture at the left, they are picking up macaroni with spaghetti. At the right they start with an oreo on their forehead and move it down their face until they can get it in their mouth. 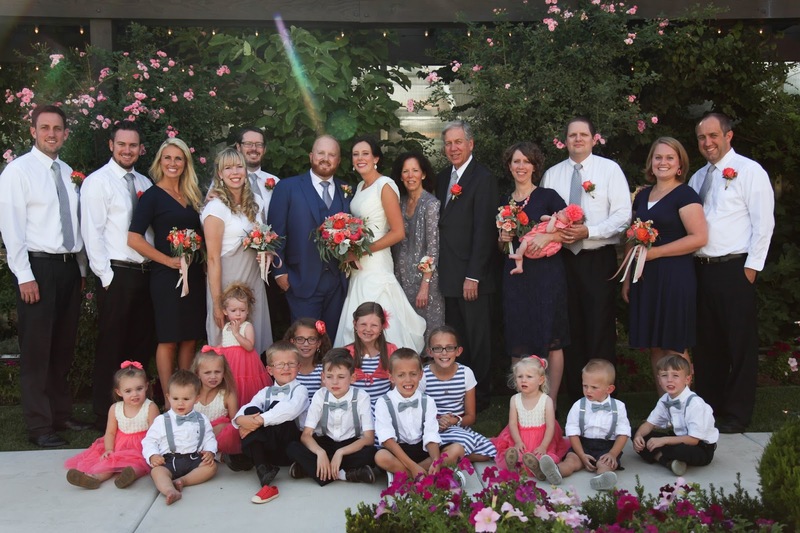 August and September were wonderful busy months for us as we traveled home to the states, trained a new office couple and began our assignments as Member/Leader Support Missionaries. We will continue living in our apartment here in Bangalore and will work now with some of the branches in the area. We will also still help out in the office. Our love for the Indian people continues to grow as do our testimonies of Missionary work and the gospel. All is well in India!